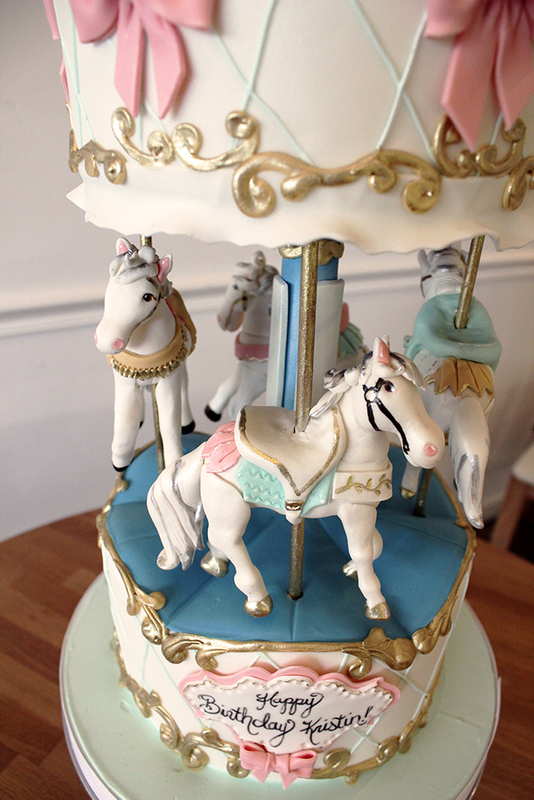 We recently made our first carousel sculpted cake. 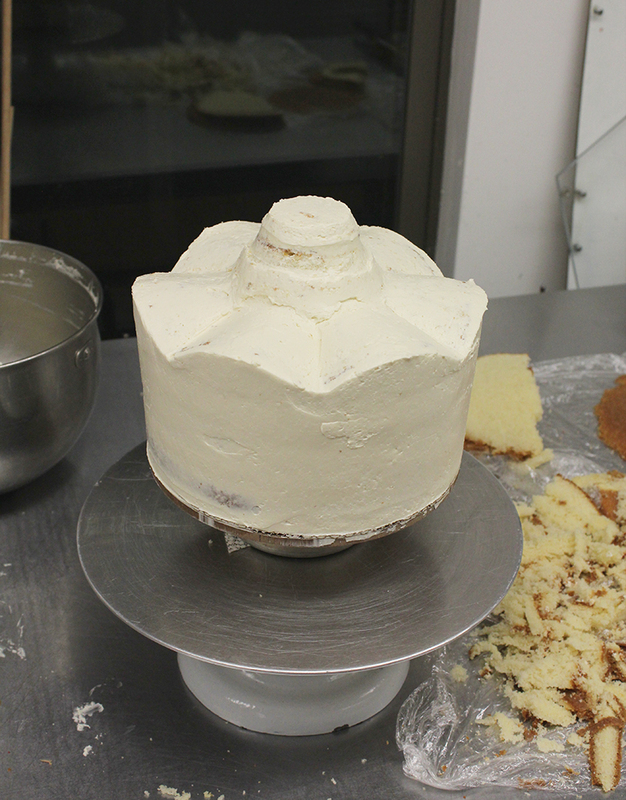 It was a lot of fun and we thought you’d be interested in seeing how we put it together so we took a few photos of the cake’s process. 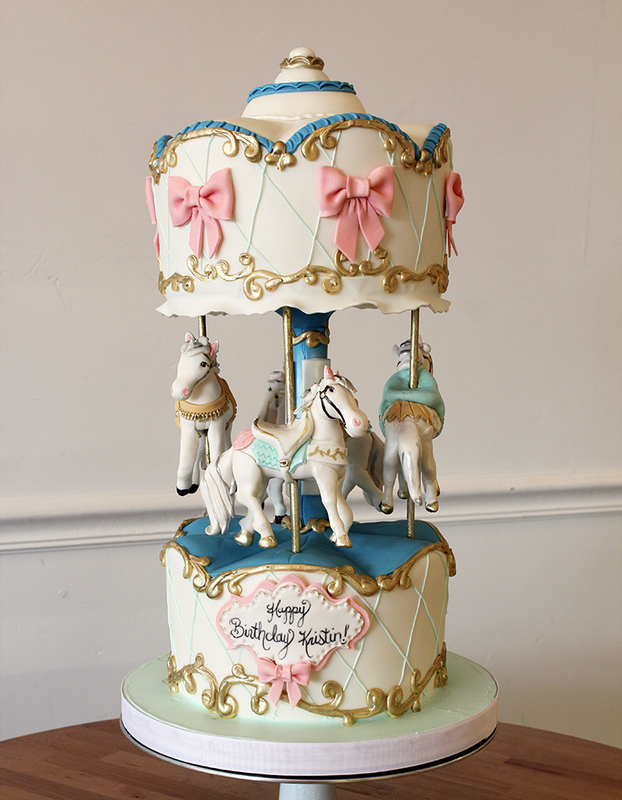 The carousel’s horse figurines are made of a gumpaste and fondant mix built on wooden dowels with a little help from floral wire. Carving the top awning of the carousel. We carved the bottom cake into a similar shape only it had an iron pipe running up through the middle of it in order to support this upper cake. 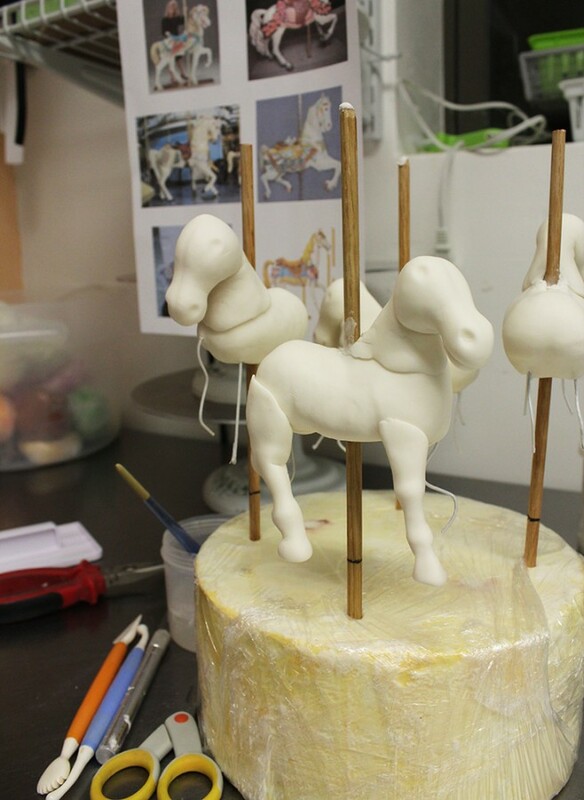 Close up of the horse figurines.